I will be performing solo and chamber music works at the MTAC Teachers Concert on Aug 17 at 3pm at The Merc, Old Town Temecula Theater. You can buy tickets by clicking here. Our studio will be participating in this charity event. 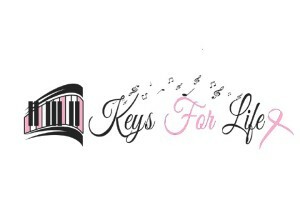 This is a 24-hour Relay for Life Charity Concert from 9am August 17 to 9am August 18. The concert is organized by a local neurosurgeon Dan Friedlich and will be held at the Aces Comedy Club (39745 Avenida Acacias, Murrieta). Our studio will proudly provide music from 12-2pm and 5-7pm (I will be performing at the MTAC Teachers Concert from 3-5pm on the same day!) I think this is a great opportunity for students to donate their time and talent to make a difference in the community. 100% of money collected as donations will go to American Cancer Society. So far, the following students have signed up to play: Jessica and Jeffrey Kim, Kelly Rausch, Shania Jin, Meijke Balay-Mickelson, Cameron Chang, Cecilia Lopez, Kristen Law, Charmaine and Cheryl Tan, Chanelle and Chloe Tan, Lance Nuzum, Nadia Cioffi, and Ron Lycan. In particular, Ron’s father and brother will join us, and their band, the McCarthys, will play a whole hour of music from 5-6pm! They are a talented father-son ensemble, featuring drums, violin and keyboard. They have an impressive repertoire including light classical, musicals, pop, rock, jazz, you name it! This cause is very dear to my heart. I will be donating a gift basket for the silent auction. The basket is for one month of piano lessons, and if a current student or family wins the auction, their August tuition will be waived! 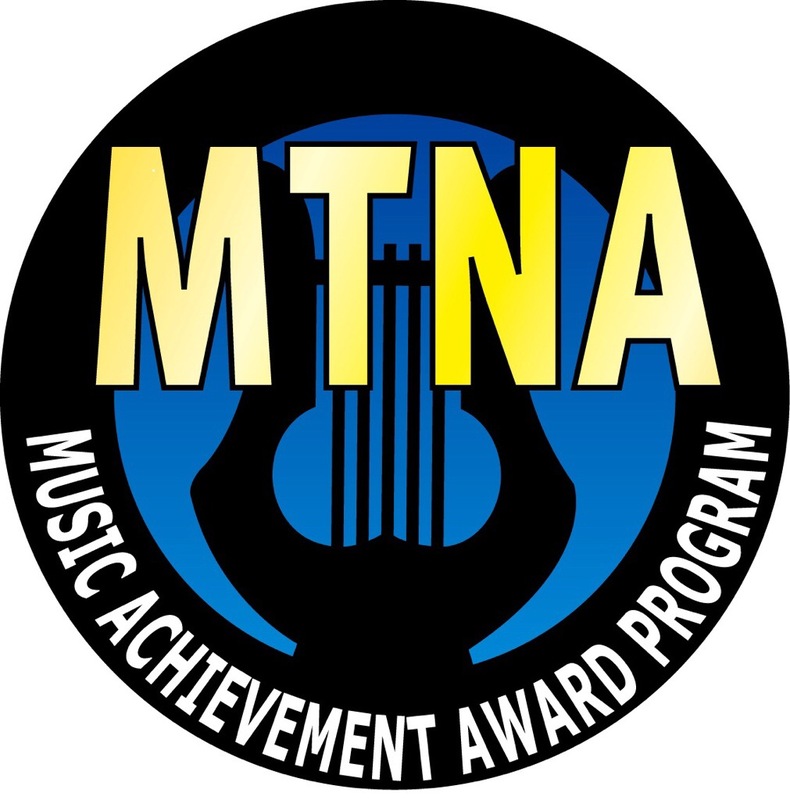 The purpose of MTNA’s Music Achievement Award Program is to help encourage ALL students to continue their music study and to strive to achieve goals that will not only help them become better musicians, but also will enhance their love and appreciation of music. The studio will sponsor this event for every student. The cost is included in your Fall registration fee. Different goals will be set for each student in the studio, each student will get a customized course of study, and EVERY student will be recognized for their hard work. 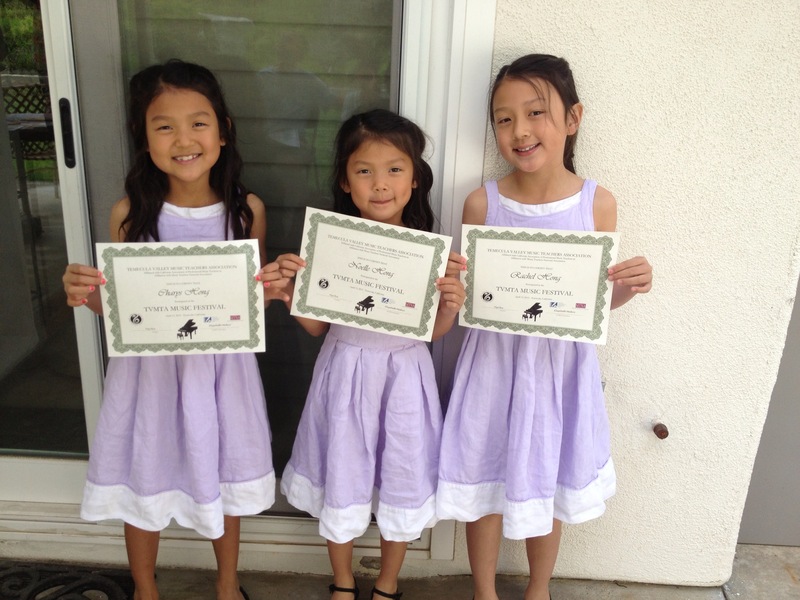 Upon completion, EVERY student will be presented the MTNA Music Achievement Award at our Summer Recital 2015. I am very excited, as this will truly be the first time where every single student in the studio, regardless of age and ability, will participate in the same program. No one will be left out, and everyone will be recognized for achieving goals that are specifically set for them. ​Meijke will be fifteen years old in August and a sophomore at Great Oak High School. He is a candidate in the International Baccalaureate program, an intense and academically challenging program. Along with his IB classes, Meijke also takes AP classes. His favorite academic subjects are his science and math classes, particularly Chemistry. He has also been a member of the Jazz Ensemble since 9th grade as a pianist and continues to enjoy performing for the community and school events. Meijke also is active in soccer and has been playing for the city of Wildomar since sixth grade and has achieved All star status and participates in championship tournaments. Meijke has been studying piano since the age of 5. He has studied with Yiyi since 2009 as one of her first group of students in Murrieta and has played in various auditions and competitions receiving many honors and awards, the last one being the Royal Conservatory Program. Meijke is hoping to amp up this year to participate in more competitions and festivals. He loves studying with Yiyi and is looking forward to working and learning a few more years with her! 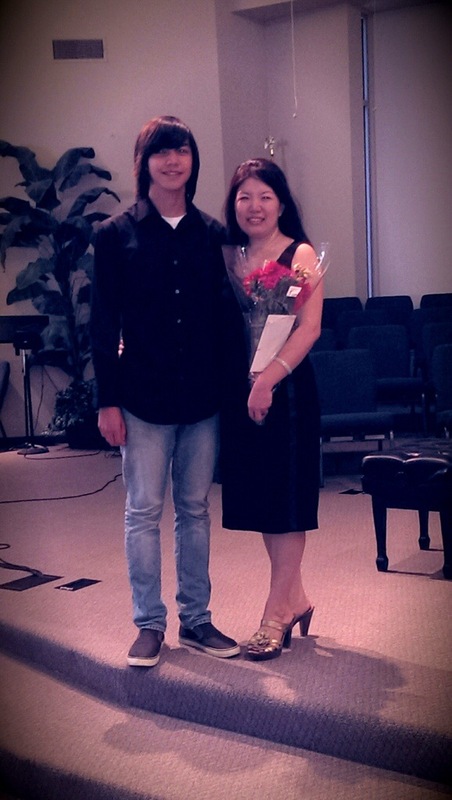 Meijke is continuing working with Yiyi and his teacher at Great Oak to improve his skills in piano. His goal at the moment with music is to “learn everything.” In addition to jazz and classical piano, he also composes his own music on the computer and listens to all genre of music. He is also currently teaching himself how to play the guitar! Teacher comment: It has been a pleasure to watch Meijke grow into a fine young man and musician! I know he is so busy with school and sports, but he still manages to keep up with piano, and has accomplished much since coming to my studio. He has done the Guild Auditions for many years, and in the last two years switched to the Royal Conservatory Music Development Program. He just completed Level 8 Piano Performance and scored First Class Honors. He will do Level 9 this year. I know that by continuing with piano and challenging himself to excel, Meijke is going to have an impressive resume for when he goes to college. But more importantly than that, he has learned and will continue to learn skills that will be with him his whole life. This year, he and Catherine Howard will be my studio assistants, helping me with various tasks around the studio (we shall start with building a new bookshelf, Meijke!) Meijke is also an accomplished composer, here is his soundcloud channel. Congratulations, Meijke, I am so proud of you, and I think we will have a fun year working together!